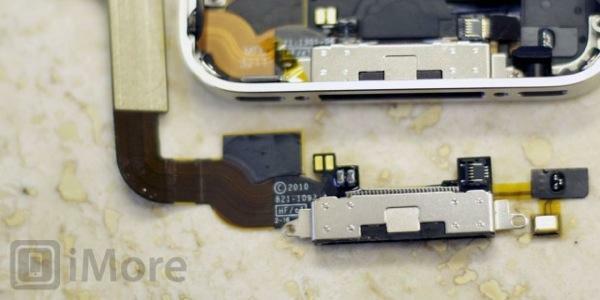 Apple blog iMore has "heard" from unnamed sources that the iPhone maker is getting ready to switch out the dock connector currently found on all iDevice products with a smaller comparable component in order to make space in the company's ever-shrinking devices. The site claims that the main reason behind the supposed change is to save space in a next generation iPhone for components that are more important than a dock connector, however this is only a guess as no timeline was given as to when the change will occur. By moving to a smaller form factor, Apple can use advanced electronics like 4G LTE radio chipsets without making a bulky product. For example, the original iPad used a micro SIM card instead of the more prevalent mini SIM when it was first introduced in 2010, and the technology found its way to the iPhone 4 to make space for a larger battery. The frugality went further as the internal antenna was displaced to the handset's edge, a design that caused the so-called "antenna-gate" fiasco. Another factor is the connector's role in data transfer. With the advent of iCloud, AirPlay and the energy-sipping Bluetooth 4.0, a future iPhone may only need a cable for charging purposes. It is unclear what would become of the huge ecosystem of existing "Made for iDevice" products, which is a lucrative business for both Apple and third-party companies, as it would be made obsolete by a redesigned connector. No further information was given, and it is important to reiterate that the aforementioned specifics were based on guesswork.